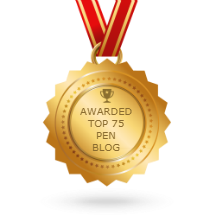 The Penbox Blog has been selected by Feedspot.com as one of the top 75 pen blogs. Feedspot go on to say, “Congratulations to every blogger that has made this top Pen Blogs list. This is the most comprehensive list of the best Pen Blogs on the internet and we are honoured to have you as part of this. We personally give you a high five and want to thank you for your contributions”.